Installation of Hindi Font is Any Windows Operating System is very simple. 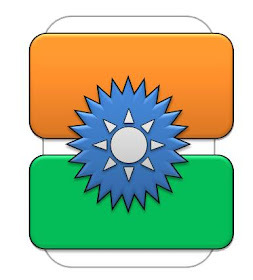 Please follow the steps to install the Hindi Font (example-Devlys 010) into your System. 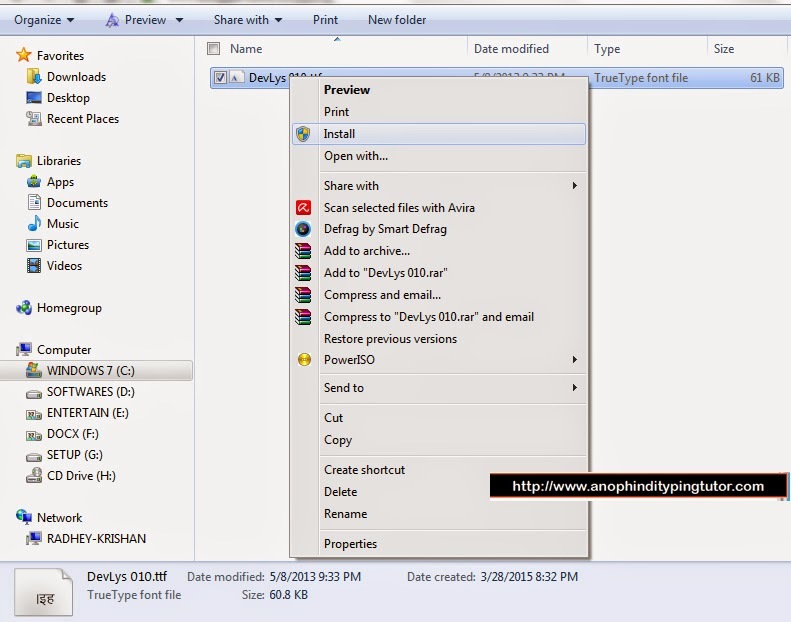 Step 2:- Now extract the downloaded package to a folder and find the file named as "DevLys 010.ttf". Step 3:- To perform this step you could use two different Methods. 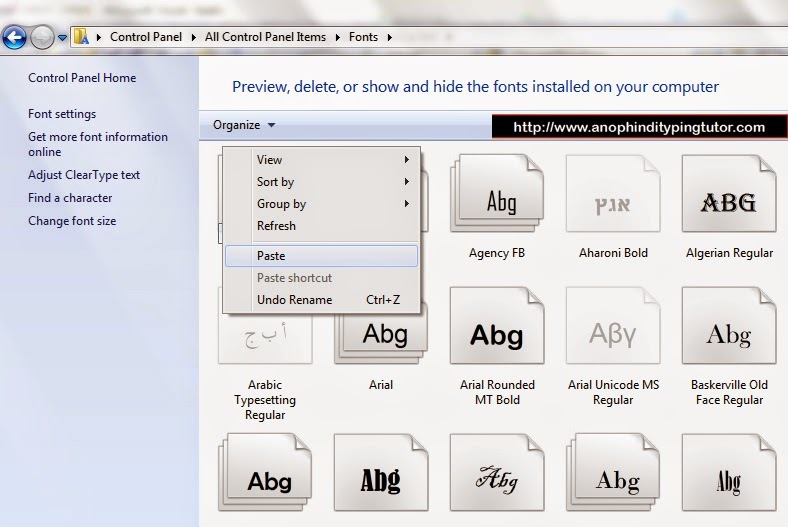 1- you can directly install font into system by Right Clicking on font file and click on Install option. Then you can use this font easily into any Software installed in your System like Notepad, Wordpad, MS-Word, Anop Hindi Typing Tutor also. its asking username and password.. how i should signin? ?